There is no set curriculum required for admission to law school, and the American Bar Association does not recommend any specific undergraduate major or group of courses to prepare for a legal education. Law school admissions committees, however, agree that the most appropriate and beneficial preparation for law school is a traditional liberal arts education. It is important for students planning to pursue the study of law to take courses to refine their writing, research, critical thinking and argument formation skills. There are several fundamental areas of knowledge that are helpful to a legal education, including an understanding of human behavior and social interaction, American history, political thought and of the contemporary American political system. Students who choose this concentration also have the option to pursue the Law Enforcement Workforce Certificate. From the moment you start your first class at Manor College, you’ll notice our student-centered approach. The courses you take here will be small, personalized and nurturing. This will make you grow, not only as a student but as a person as well. 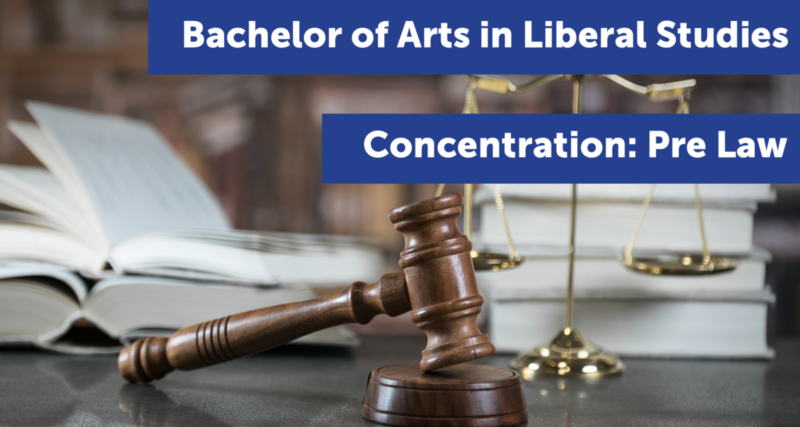 The Bachelor of Arts degree program in Liberal Studies with a Concentration in Pre-Law will prepare you for successful graduate/professional study in law. For students interested in pursuing law school, Manor College now offers a 3+3 program and an admittance agreement with Widener University Delaware Law School. Students also have the option of earning an Associate of Science in Paralegal. Students will begin by learning about the fundamentals of topics like scientific reasoning, religion, philosophy, and information technology, before moving into more advanced coursework on economics, financial crime, public service ethics, and business employment law. Students will complete a Liberal Studies Capstone project during their senior year. The Liberal Studies with a Concentration in Pre-Law programs 120 credits in total. What career can you have with a Liberal Studies with a Concentration in Pre-Law degree? Paralegal, caseworker, lawyer, legislative assistant, real estate agent, compliance officer, and mediator are all examples of job titles that rely on a background in pre-law. Employment of paralegals and legal assistants is projected to grow 15% from 2016 to 2026, faster than the average for all occupations.